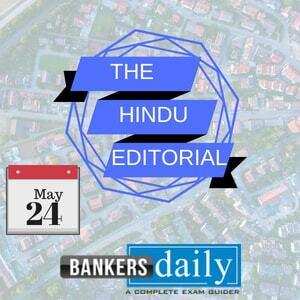 THE HINDU EDITORIAL – February 2, 2018, is one of the must-read section for the competitive exams like NIACL AO Prelims Exam, IBPS SO Mains Exam. These topics are widely expected to be asked in the reading comprehension, Cloze Test or Error Detection in the forthcoming exams. So gear up your Exam preparation and learn new words daily. The bloody unrest in Zimbabwe suggests that President Emmerson Mnangagwa’s political honeymoon is over. The veteran of the struggle for freedom was the beneficiary of the overthrow of strongman Robert Mugabe in November 2017. Mr. Mnangagwa raised hopes in the run-up to the July general election, promising free and fair polls and inspections by international observers. But his victory proved controversial as allegations of vote-rigging by the ruling ZANU-PF machinery in the rural areas began to bear echoes of the Mugabe era. In six months since his election, the ex-security chief’s pledge to distance himself from his military legacy and open the economy for foreign investment has been put to severe test. A case in point is Mr. Mnangagwa’s handling of the fallout of the recent steep fuel price hike in which over 10 protesters are said to have been killed. Zimbabwe’s defence forces have come under severe condemnation for the general crackdown, involving arbitrary detentions, torture and a country-wide Internet blackout. Harare’s main opposition, the Movement for Democratic Change, has faced attacks on its main office, while trade unions behind the nation-wide strike appear resolute in their bid for redress. The crisis forced President Mnangagwa to call off his trip to the World Economic Forum in Davos. But his attempt to put the blame both on the security forces and the protesters may merely point to his own political vulnerability. The official response to the mass opposition against fuel price hikes were directed by his deputy, Constantino Chiwenga, when the President was away. Mr. Chiwenga was the mastermind behind the 2017 coup, and the man he installed must assert his authority to ensure accountability and respect for the rule of law. The sudden doubling of fuel prices has amplified Zimbabwe’s chronic shortage of U.S. dollars to sustain the import of basic goods. Following the hyper-inflation of the previous decade, the country abandoned its own currency. The electronic alternative, “bond notes” that were introduced without physical backing, unleashed a vicious cycle of hoarding and price inflation. The decline in the value of the surrogate currency against hard money has caused distress among public servants. Many businesses have folded up for want of adequate foreign currency. Mr. Mnangagwa’s government has moved to reduce the issue of electronic debt, and to curtail the ballooning fiscal deficit. While these may be steps in the right direction, they are too small as incentives to entice a deeply sceptical investor community that was once turned away. Mr. Mnangagwa has his task cut out: to shore up his own base in the ZANU-PF establishment and to restore calm across the country. Equally, he cannot abandon the difficult path of reform, which is the only guarantee of stability in the long term. As election-eve budgets go, Interim Budget 2019-20 must rank as one of the most politically expedient ones this country has seen. The shadow of the general election falls squarely on the budget proposals, which are aimed at seeking votes in the name of various schemes that rain cash on beneficiaries. Whether the strategy will work at the hustings remains to be seen. 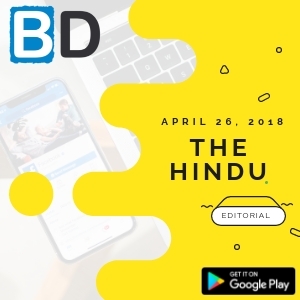 But there is no denying that a lot of thought has gone into identifying and targeting the sections of population across social segments that are in distress and unhappy with the Centre for a variety of reasons. There is an income support scheme for farmers who are reeling under the impact of falling realisations for their crops, and a pension scheme for informal sector workers earning up to ₹15,000 a month. There are income tax concessions for the middle class that have been carefully framed to target the lower rung. The ₹6,000 a year income support to farmers will benefit 12 crore households, which is almost half of the total number of households. Similarly, the increase in standard deduction from ₹40,000 to ₹50,000 may be small but it will cover three crore taxpayers, which is again almost half of the 6.8 crore taxpayers. The income tax rebate on those with taxable annual income of up to ₹5 lakh a year will benefit three crore middle class voters that includes traders, small businesses, those who have just joined the formal workforce and pensioners. While these sops will benefit sections of the population, the question is whether it is correct for a government that will be in power for less than two months in the next financial year to write into the statute books proposals that are permanent. Though some past governments have announced sops in their interim budgets with an eye on elections, this budget has gone much further by announcing very significant measures. In political terms, the strategy cannot be faulted as it appears to have put the Opposition in a difficult spot — protesting too much about the concessions given to those in distress may be counter-productive. That said, some of these ideas may actually work in economic terms as they put money in people’s hands. The housing-related tax proposals can give a leg-up to the real estate sector, which is a job-creator and is now in trouble. The sops come with a cost, though. The Centre will miss the glide-path for reducing the fiscal deficit, yet again. The estimated slippage of 0.10 percentage point is not significant if we assume that the concessions will spur spending by the beneficiaries. This is, of course, assuming that the gross tax revenue projection of ₹25.52 lakh crore, which is a 13.5% growth over the revised estimates of 2018-19, is achieved. But this arithmetic will be the headache of the next government. Meaning : an amount of money or property left to someone in a will. Meaning : (of a slope, flight of stairs, or angle) rising or falling sharply; almost perpendicular(adj). Meaning : a person who publicly demonstrates opposition to something; a demonstrator(n). Meaning : based on random choice or personal whim, rather than any reason or system(adj). Meaning : the action of detaining someone or the state of being detained in official custody(n). Meaning : admirably purposeful, determined, and unwavering(adj). Meaning : offer (a certain price) for something, especially at an auction(v). Meaning : the quality or state of being exposed to the possibility of being attacked or harmed, either physically or emotionally(n). Meaning : state a fact or belief confidently and forcefully(v). Meaning : increase the volume of (sound), especially using an amplifier. Meaning : strengthen or support physically or mentally(v). Meaning : release (a dog) from a leash(v). Meaning : deliberately cruel or violent(adj). Meaning : reduce in extent or quantity; impose a restriction on(v). Meaning : attract or tempt by offering pleasure or advantage(v). Meaning : not easily convinced; having doubts or reservations(adj). Meaning : cease to support or look after (someone); desert(v). Meaning : (of an action) convenient and practical although possibly improper or immoral(adj). Meaning : the action of one object coming forcibly into contact with another(n). Meaning : a partial refund to someone who has paid too much for tax, rent, or a utility(n). Meaning : a thing of no great value given or done as a concession to appease someone whose main concerns or demands are not being met(n). Meaning : failure to meet a standard or deadline; the extent of this. Meaning : move with a smooth, quiet continuous motion(v). Meaning : (of written or printed matter) having been altered or corrected(adj). Meaning : (of a value or number) roughly calculated; approximate(adj). Meaning : (typically of something regarded as good) become smaller, fewer, or less; decrease(v). Meaning : express complete disapproval of; censure. Meaning : make smaller or less in amount, degree, or size(v). Meaning : a thing that prompts or encourages someone; an incentive(n).